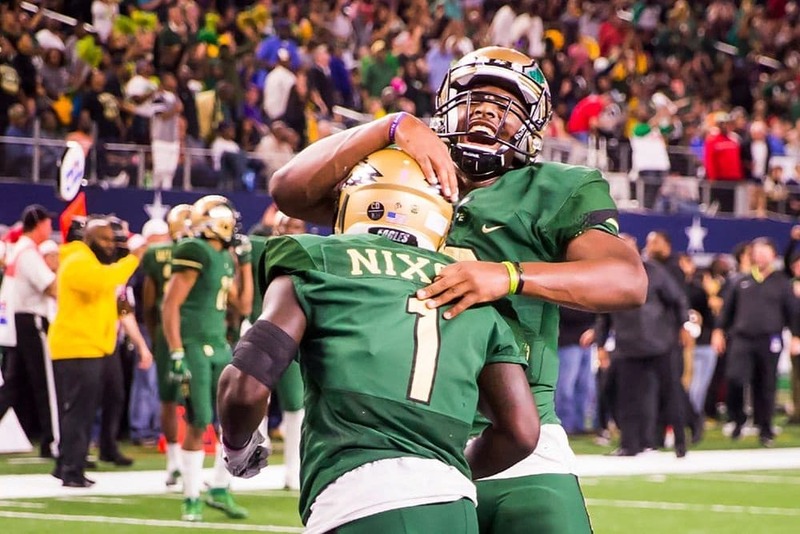 DESOTO—After a 16-0 run last season the DeSoto Eagles brought home their first state football championship in school history. Making themselves the defending champs and painting a proverbial target on their backs. Most ball clubs would say the pressure is on for another title. But Head Football Coach Todd Peterman says–What Pressure? After losing 67 letterman to matriculation Peterman says this year’s team is a little younger offensively but ready for whatever may come their way. Returning on the defensive side of the ball is Cornerback Gemon Green (6’2″, 170, 4.5) who finished the season with 56 tackles, 24 broken up passes and 2A interceptions. DeSoto legendary namesake Byron Hanspard Jr. had 42 tackles, 13 broken up passes and 3 interceptions. And on the defensive line Viramontes Pippens returns with 58 tackles last season. “They are probably the deepest defense that we have had in DeSoto since I have been here,” he says. Normally the Eagles aren’t heavy on the defensive game strategy but Peterman says if they have to they’ll lean on their veterans on that side of the ball. What’s New At QB Post? 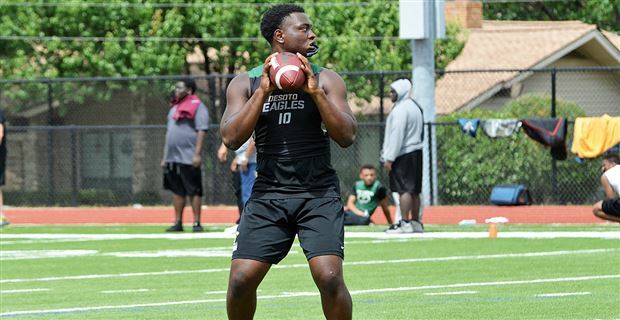 Even back in his offensive coordinator days it has been DeSoto’s tradition to be deep in the quarterback position. The loss of one man should never tank the entire team’s prospects. And while many contend that the loss of Shawn Robinson to graduation will change the Eagle’s chances, Peterman says that Senior QB Courtney Douglas is as capable as any he’s seen in that position. He certainly has some big shoes to fill. Shawn Robinson at 6’1″, 217 is now a Freshman at Texas Christian University. He led the Eagles to a 16-0 record and the 2017 6A Division II State Championship. Robinson completed 167 of 286 passes for 3,052 yards and 26 touchdowns through 14 games. He had also rushed for 1,139 yards and 17 touchdowns on 120 carries. Peterman says that Douglas, who is fielding offers from the University of Arkansas at Pine Bluff and other D-1 schools, has what it takes to be a standout field commander. District 7 is always stacked with powerhouse teams. But it looks like the defending champs will be tested right out the gate starting this week against Jesuit Preparatory School. Then the next week at Denton Guyer, Midland and Cedar Hill. Previous season ticket holders can get your season ticket package through Aug. 11 for $35 per seat to attend all five home games. General Public can purchase tickets Aug. 14 through Aug. 31. Those interested, can purchase individual game tickets for pre-sale from 7 a.m. to 5 p.m. at the district athletic office. Please be advised, ticket sales end at 2 p.m. on game days. Pre-sale reserved tickets are $7. Pre-sale adult general admission tickets can be purchased from $6 and pre-sale student general admission tickets are $3. For those interested in purchasing tickets at the gate, reserved tickets are $8 and general admission tickets are $7. 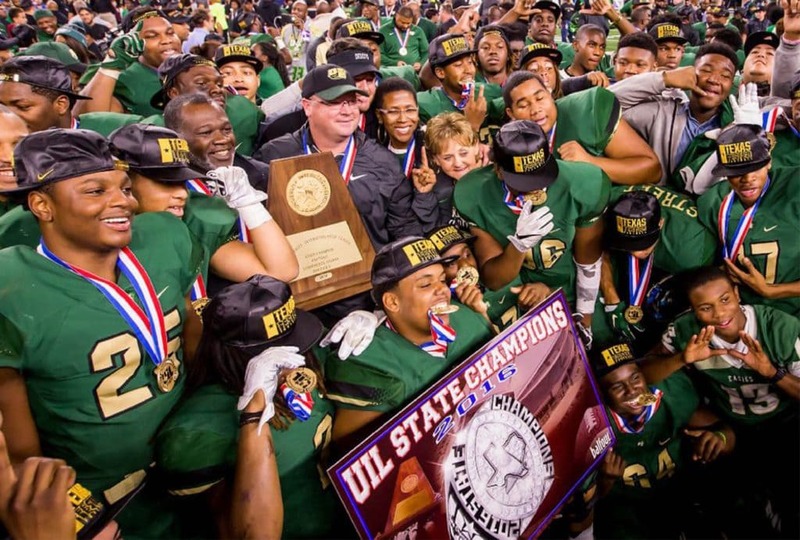 For more information, contact the DeSoto ISD Athletics office at 972.274.8118.